As a tenuous government, whose survival for over two years was itself incredible, falls in Jammu and Kashmir (J&K), strident, divisive and increasingly militarist commentary has dominated the public discourse. This, despite the fact that not a single statement from state or central authorities speaks of any ‘free hand’ to the security forces (SFs), or of any abruptly ‘muscular approach’. In effect, both supporters of this hardline, and those who seek to create fear and panic in the Kashmir Valley – and this appears to include the erstwhile Chief Minister Mehbooba Mufti – are essentially constructing a straw man and then using it to flog their own partisan political agendas. 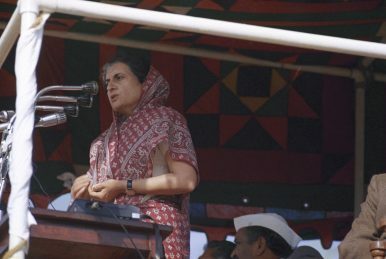 Worse, as in any period of escalating tension in J&K – especially if an election is approaching (and one almost always is) – divisive issues, Article 370 [J&K’s ‘autonomous status’], and 35A [special provisions for ‘permanent residents’ of the State], increasingly consume the polarized discourse. When Prime Minister Narendra Modi took office in May 2014, India faced major economic challenges. Growth had plummeted to 5.9 percent during the last two years of the outgoing government, down from a nine-year average of 8.2 percent. During the same two years, inflation had averaged 9.7 percent. Meanwhile, the government was in the grip of paralysis, unable to rein in corruption or complete large projects and in need of key structural reforms. Four years later, the Modi government has largely succeeded in addressing these problems. On average, inflation has come down to 4.3 percent and growth has climbed to 7.3 percent over the last four years. Bold steps such as the demonetization program in November 2016 have been effective in curbing corruption. And the government has introduced numerous efficiency-enhancing initiatives, such as the replacement of a complex set of central- and state-level taxes with a single goods and services tax (GST). Taken together, these policies put India on the path to long-term growth and prosperity. Sandwiched between U.S. President Donald Trump’s acrimonious public exchanges with other leaders at the G-7 (group of seven industrialised countries) summit (June 7-8) and the headline-hogging U.S.-North Korea summit (June 12), the Shanghai Cooperation Organisation (SCO) summit in Qingdao, China (June 9-10) attracted little international attention. It was the first SCO summit attended by India as a full-fledged member (It has been an observer since 2005.) The SCO grew out of the Shanghai Five grouping — of Russia, China, Kazakhstan, Tajikistan and Kyrgyzstan — which was set up in 1996 to resolve boundary disputes between China and each of the four other members. It admitted Uzbekistan in 2001, re-christened itself the Shanghai Cooperation Organisation and broadened its agenda to include political, economic and security cooperation. It admitted India and Pakistan as full members in 2017. As the Nuclear Nonproliferation Treaty (NPT) turns 50 this summer, so will India’s refusal to accede to the Treaty on grounds that it is a biased legal instrument that divided the world into “nuclear haves” and “nuclear have-nots.” The year 2018 also commemorates 20 years since India’s five nuclear tests in May 1998, and 10 years since the 2008 congressional approval of the U.S.-India 123 agreement, also called the U.S.–India Civil Nuclear Agreement. Much has been written on whether India “had it easy,” unlike other countries that developed nuclear weapons outside the five nuclear weapon states under the NPT. For those who remember, such arguments were plentiful and pervasive in the United States in 2008 when the U.S.-India 123 agreement needed congressional approval, and more recently, in opposition to the India’s membership in the Nuclear Suppliers Group (NSG). It is an opportune moment, therefore, to understand the significance of this Treaty in terms of India’s supposed “special relationship” with it. Why did India not sign the NPT in 1968? What immediate and subsequent impact did that have on the NPT? What role did security interests, domestic politics and prestige play in India’s decision? The recent fighting in Afghanistan has shown all too clearly that the Taliban was sincere in announcing in late April that it was rejecting participation in a peace progress and starting a new spring offensive. It has only had limited success so far, but has taken more districts. In spite of a brief Ramadan ceasefire, peace seems no closer now than it has at any point in the past. One key question is whether the Taliban can make major new gains over the course of 2018. So far, the reporting is mixed. Official reporting by the Government and the ISAF and US command seems overly-optimistic, but Taliban statements also seem overly-ambitious. Equally serious questions also exist over how much of Afghan territory is disputed, controlled by the government, or controlled by the Taliban and other rebels. On June 9, the Taliban ordered its fighters to “stop offensive operations against Afghan forces for the first three days of Eid-al-Fitr” this week. Its announcement came just days after Afghan President Ashraf Ghani declared a ceasefire against the insurgent group. The ceasefires are for a very short period and do not include all armed actors in the Afghan civil war. The government has not extended its truce to the Islamic State group, and the Taliban has said it will continue operations against “foreign occupiers.” Still the announcement of overlapping ceasefires by the two sides is a significant development. While the Afghan government has declared ceasefires in the past, this is the first time that the Taliban is doing so. It’s never been a worse time to be a Chinese telecom company in America. This evening, the Senate is set to vote on whether to restore a ban on U.S. company sales to prominent Chinese telecom player ZTE, a penalty for its illegal shipments to Iran and North Korea. The bill also includes a measure that would ban U.S. government agencies from buying equipment and services made by ZTE and Huawei, one of its competitors, to tackle cyber threats to U.S. supply chains. Meanwhile, a revelation that Huawei was among the companies with whom Facebook had data-sharing agreements, which allowed device makers to access user data and that of their friends, sparked fears that the Chinese government now possesses a treasure trove of sensitive data on U.S. citizens. A post claiming the US would wage a cyber war against China by dismantling net neutrality rules after it announced additional tariffs of 25 percent on Chinese imports worth approximately $50 billion has been circulating on WeChat. It should be known that the US' repeal of net neutrality rules is not related to its attempt to start a cyber war against China. But this post did trigger wide anxiety. Net neutrality requires internet service providers to offer equal access to all web content. The rules, enacted by the Barack Obama administration in 2015, prohibit internet providers from charging more for certain content or from giving preferential treatment to certain websites, something that could hurt particular users who cannot afford online content. In this regard, online users have access to stable bandwidth resources based on the cooperation between content and service providers. China's government will try to drive economic growth with the Internet Plus initiative, a plan to integrate innovations such as automation, big data, artificial intelligence and the internet of things into all aspects of the country's economy. In doing so, Beijing will maintain a firm hand over the internet using an array of strict laws and interventions. The Chinese state, however, will also try to avoid restricting tech companies to the point of discouraging the innovation it needs to bring Internet Plus to fruition. From a Western perspective, the internet in China is as locked-down as it gets. The country's massive firewall has been filtering global content for decades, and the Communist Party is as committed as ever to centralizing control of the internet and the information it transmits. To achieve that end, the Chinese government uses every trick in the book, deploying bots on social media platform Weibo — where the automated accounts make up an estimated 40 percent of the user base — devising rules to govern internet use and arresting violators. China will retaliate against the United States' latest trade threats, but the country is likely to pursue informal measures such as boycotts against U.S. firms rather than impose new tariffs. Beijing could turn a cold shoulder to U.S. agricultural, automotive, energy and other exporters in favor of doing business with companies from other countries. U.S. firms that are already doing business in China could find themselves targeted with anti-corruption probes and other bureaucratic procedures as part of Beijing's response. The United States has fired new salvoes in its dispute with China, but the latest blow is unlikely to be the last in a rapidly developing trade war. On June 18, the White House announced that President Donald Trump had directed the U.S. Treasury to identify a list of imports from China worth $200 billion for subjection to a 10 percent tariff. Trump's move is itself a response to China's retaliation against the United States’ first round of tariffs, which will impose a 25 percent duty on $34 billion worth of Chinese imports starting July 6. SAN FRANCISCO (Reuters) - A sophisticated hacking campaign launched from computers in China burrowed deeply into satellite operators, defense contractors and telecommunications companies in the United States and southeast Asia, security researchers at Symantec Corp said on Tuesday. Symantec said the effort appeared to be driven by national espionage goals, such as the interception of military and civilian communications. Such interception capabilities are rare but not unheard of, and the researchers could not say what communications, if any, were taken. More disturbingly in this case, the hackers infected computers that controlled the satellites, so that they could have changed the positions of the orbiting devices and disrupted data traffic, Symantec said. 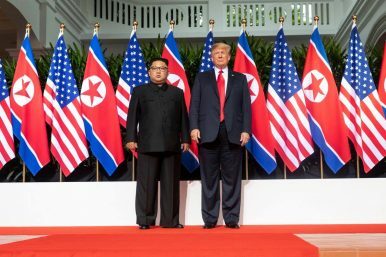 After the historic summit in Singapore between North Korean leader Kim Jong Un and U.S. President Donald Trump on June 12, it seems the odds of denuclearizing North Korea are increasing. There are some reasons to be optimistic about the prospect of denuclearization: The sanctions imposed on North Korea seem to have worked and will probably continue to force Pyongyang to comply if not easily relieved. Moreover, the mood in the U.S. Congress seems favorable to facilitating the conclusion of a potential peace treaty that can make security assurances to North Korea legally binding and therefore more credible. However, despite the above arguments, we have more reasons to be pessimistic. Trump Orders New Space Service; Will Congress Agree? TEL AVIV: Israel is preparing to buy a range of new weapons in preparation for a possible attack on Iran should that country appear to restart efforts to develop a nuclear weapon. Israel has reportedly already invested more than $2 billion preparing for a possible attack against Iran. On Israel’s shopping list: a new aerial refueling aircraft and new weapons such as the IAI/IMI Rampage missile just unveiled by Israeli Military Industries Systems (IMI Systems) and Israel Aerospace Industries (IAI) This long-range assault missile was developed jointly by the two Israeli companies. The Rampage would be used by Israel’s F-35s in a strike against Iranian forces but can be used on most other Israeli strike aircraft. 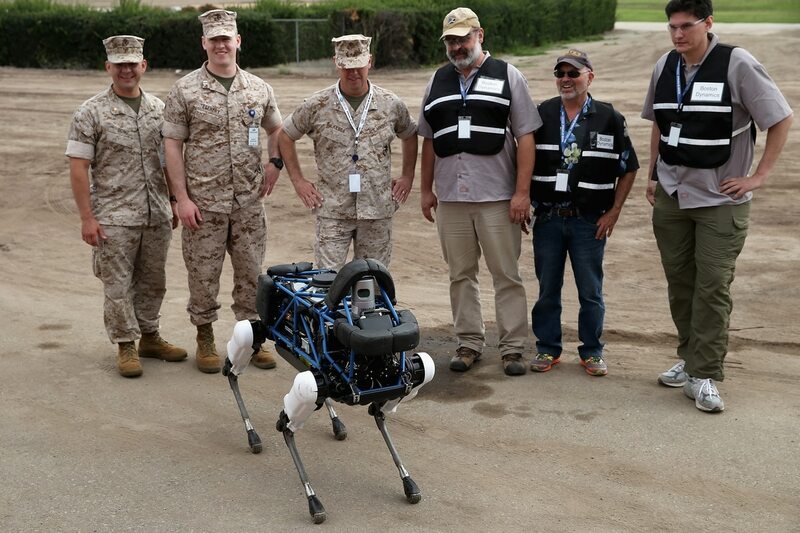 The companies say the Rampage is designed to destroy targets such as command and control centers, air force bases, maintenance centers, infrastructures and valuable targets protected by sophisticated anti-air systems. Ties between Ankara and Washington have suffered as Turkey has pursued an independent direction that is not necessarily aligned with U.S. interests. This deteriorating relationship will drive Turkey to improve its relationship with other partners to ensure it is not wholly reliant on the United States. The relationship between the United States and Turkey just keeps getting worse. The two countries have clashed repeatedly in recent years over the conflict in Syria, over Turkey's friendship with Russia and over Islamist cleric Fethullah Gulen, who the Turkish government claims was involved in the country's attempted coup in 2016. And if Turkey continues refusing to compromise on key U.S. demands, the already poor relationship could suffer further if the United States acts on its sanctions threat. To paraphrase Ronald Reagan: Are you safer than you were a year ago? Are you less at risk of serious harm, external dangers, sudden violence, or a loss of freedom or safety? Contrary to the alarmist suggestions of populists out to create panic and the breathless paranoia that dominates the news cycle, the answers are mostly reassuring for the West and other major powers. Consider the United States. Despite U.S. President Donald Trump’s systematic attempts to destroy what’s left of the existing world order, the immediate threats to Americans haven’t changed much since a year ago. And if you take the long-term perspective, the United States might even be the safest country in the world — or at least the only one whose greatest risk is its own citizens. Britain supplied key information to help break up terrorist operations in four European countries in the last year, one of its intelligence chiefs revealed on Tuesday, as the UK upped the ante in the growing row over post-Brexit security. The director of the surveillance agency GCHQ, Jeremy Fleming, speaking on a visit to Nato headquarters, also stressed other European countries had benefited from classified intelligence shared by the UK on cyber-threats. His comments can be seen as a direct riposte to EU chiefs threatening to exclude Britain from access to EU security databases and from Galileo, an alternative surveillance system to GPS, which was built for the US military. The Obama White House’s chief cyber official testified Wednesday that proposals he was developing to counter Russia’s attack on the U.S. presidential election were put on a “back burner” after he was ordered to “stand down” his efforts in the summer of 2016. The comments by Michael Daniel, who served as White House “cyber security coordinator” between 2012 and January of last year, provided his first public confirmation of a much-discussed passage in the book, “Russian Roulette: The Inside Story of Putin’s War on America and the Election of Donald Trump,” co-written by this reporter and David Corn, that detailed his thwarted efforts to respond to the Russian attack. As the world hurtles toward a systemically digitized existence, some unpleasant alternatives to governance are coming clearly into view. In May, the European Union imposed sweeping laws on technology companies that shift control of data to the customers, protect privacy, and require curation to stop libelous and hate content. Facebook, Google and others must from now on obtain informed consent from users that their data can be repurposed or monetized, allow users to opt out of consent immediately, allow them to invoke the right to be forgotten (or expunged from the internet) or to transfer data to another organization, and provide them with the right to transparency regarding use of their data and by whom. Four companies have been awarded contracts to develop initial prototypes for components to make up the Department of Defense’s comprehensive cyber training range. They include ManTech, Simspace, Metova and Circadence. 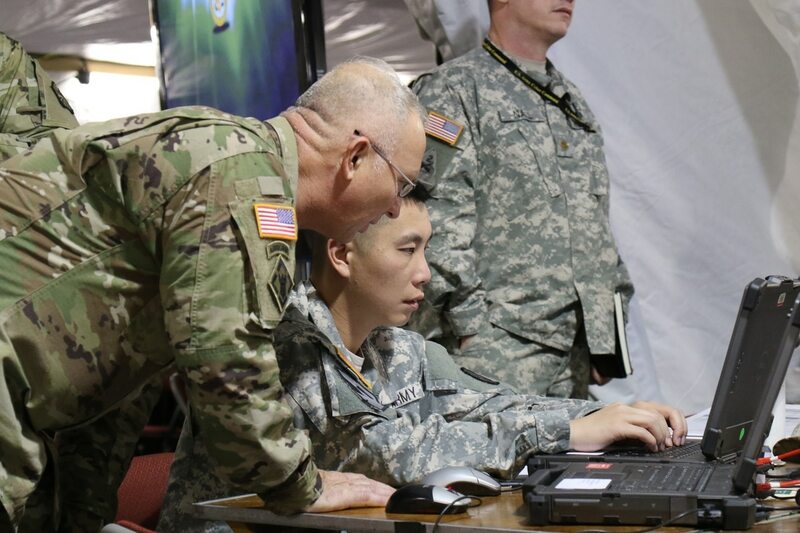 The Persistent Cyber Training Environment, which the Army is managing on behalf of U.S. Cyber Command, will effectively be the module where cyberwarriors can conduct ongoing individual and collective training on par with rifle ranges for infantry troops and combat training centers for brigades. Currently, no system exists for cyberwarriors to conduct ongoing training; typically, they test readiness in large-scale annual exercises. 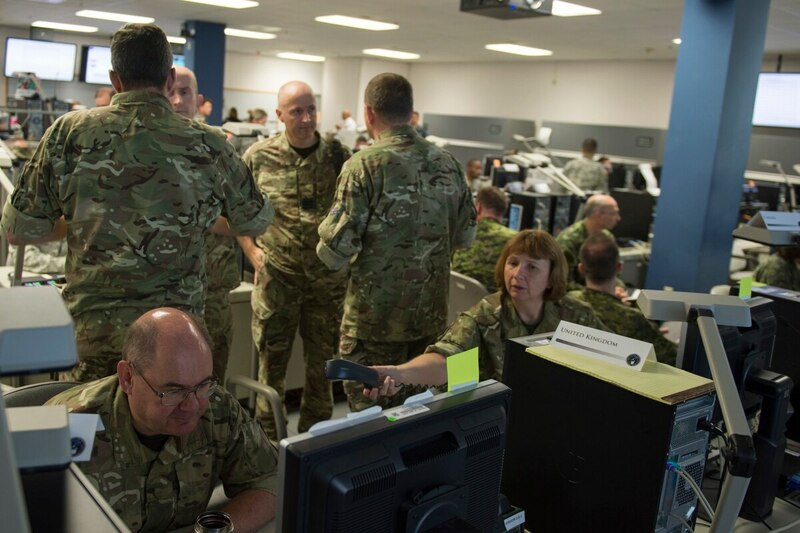 With cyber playing a critical role in conflict going forward, the Army has begun to recognize the need to have organic cyber planners within a brigade’s staff to offer commanders options related to cyber as well as electronic warfare. Cyber and Electromagnetic Activities, or CEMA cells, have been stood up in each brigade acting as planners to provide targeting options and capabilities to get at commander objectives just as an artillery planner would offer the commander choices related to their field for a pending operation. At the tactical level, these two disciplines – cyber and electronic warfare – have become intertwined. The 29 countries in the North Atlantic Treaty Organization are not referred to in its statutes as members or signatories but as allies. As the military grouping nervously prepares for a July 11/12 summit, 28 of those nations’ leaders may be forgiven for wondering whether that word still describes the country led by the 29th. In the space of two weeks in June, U.S. President Donald Trump first baited his supposed friends into a trade war by slapping tariffs on steel and aluminumfrom the European Union, Canada and other nations. He argued that Russian President Vladimir Putin – still under E.U. and U.S. sanctions for the annexation of Crimea – should be invited back into the G7, before rejecting the summit’s communique and personally insulting Canadian Prime Minister Justin Trudeau. All that before he met North Korean dictator Kim Jong Un and called him a “very talented” leader. A checklist for a Pentagon that rarely looks into why so many of its partner-building efforts fail. For decades, the United States has sought to build militaries in fragile states so they can fight the hard fights instead of the U.S.military doing so. Many of these attempts have failed; in Iraq, for example, American trainers struggled to develop local forces that could effectively take on ISIS. Worse, the Pentagon seems largely indifferent to the lessons these failures might teach. A recent Government Accountability Office report found that most efforts to train and equip partner militaries over the last decade weren’t even assessed.